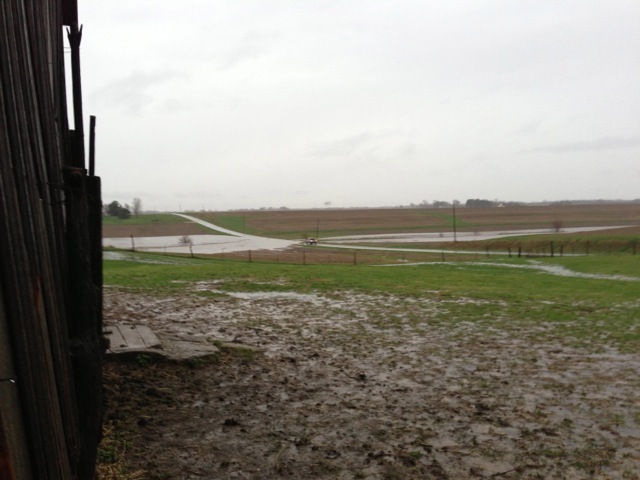 We’ve had quite a bit of rain the past week or so, and the ground has gotten fairly well saturated. Last night brought another 2-3″. 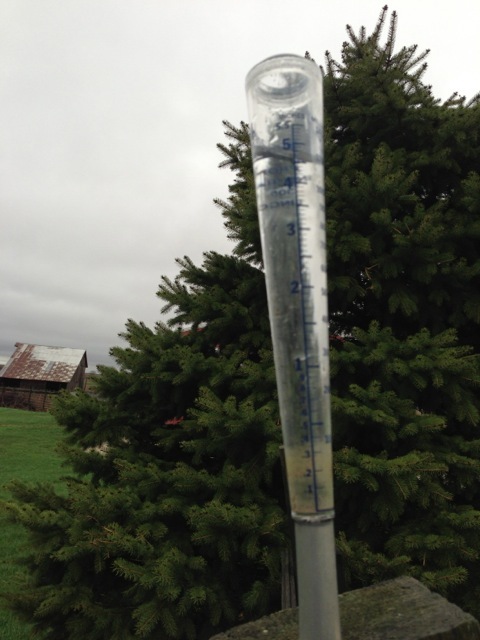 I emptied the gauge before I left for work this morning, so the 5″ it’s captured all came down during the day. First, here’s a shot taken while doing chores this morning. 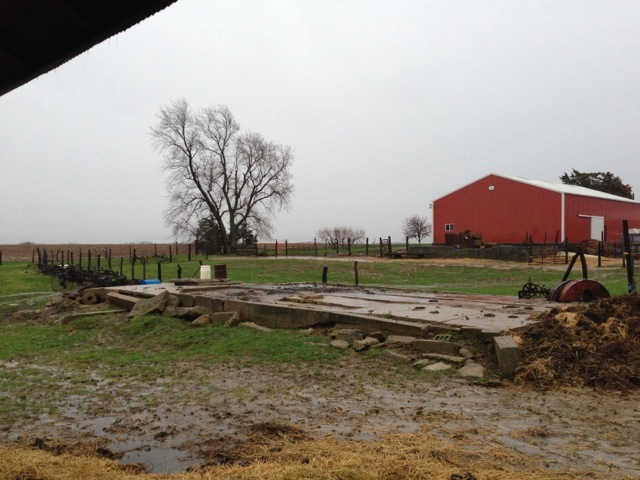 The pasture is greening up nicely, but you can see how saturated the ground is, too. 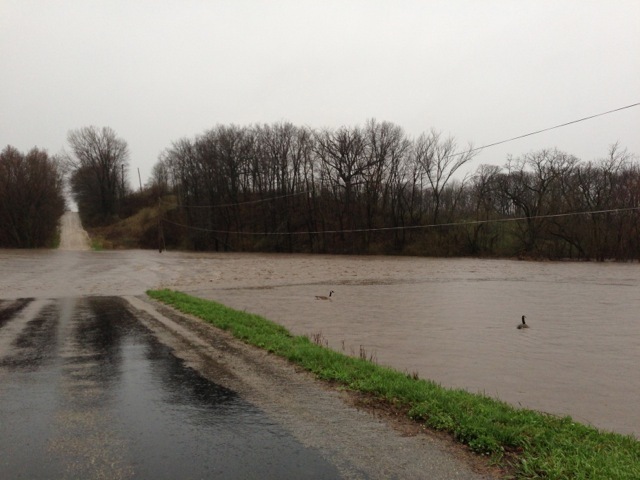 This is Indian Creek, just North of our farm – the creek is up over the road at this point. It had receded by the time I got home from work. 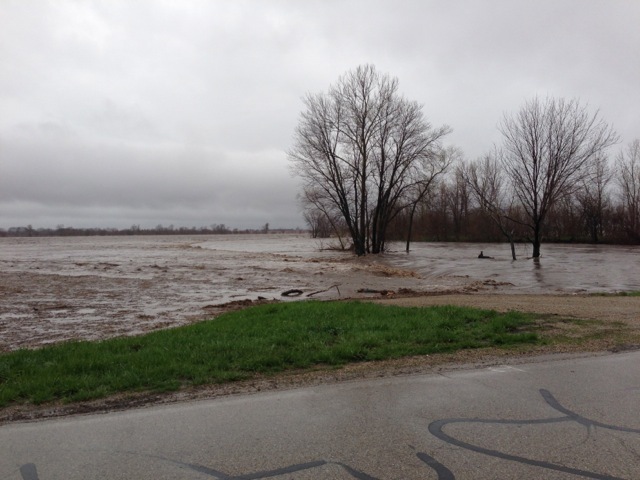 This is the Spoon River where it crosses Maher Road about 5 miles South of the farm. I am on the bridge, and this is the low part of the road just South of the bridge. It’s probably under 1-2′ of water. Note the geese. 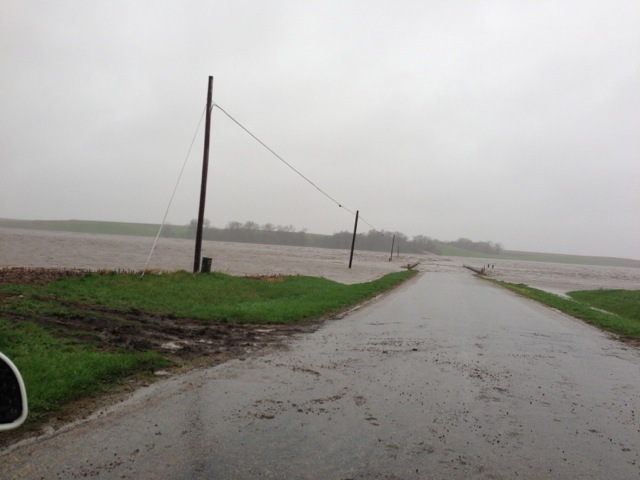 Here’s the Spoon River where it crosses Duncan Road about 6 miles East of the farm (my normal route to work). The bridge is actually about halfway up the hill. I’d never seen the water up this high before. That’s a dead log in the middle of the road where the water is flowing over. Here’s the same scene, taken from the other side of the bridge this evening – note the bridge is now under water, so the road past it is under probably 4-6′ of water. It was really boiling through there, too. I had to backtrack and take a State road that crosses a few miles North (with a higher bridge). 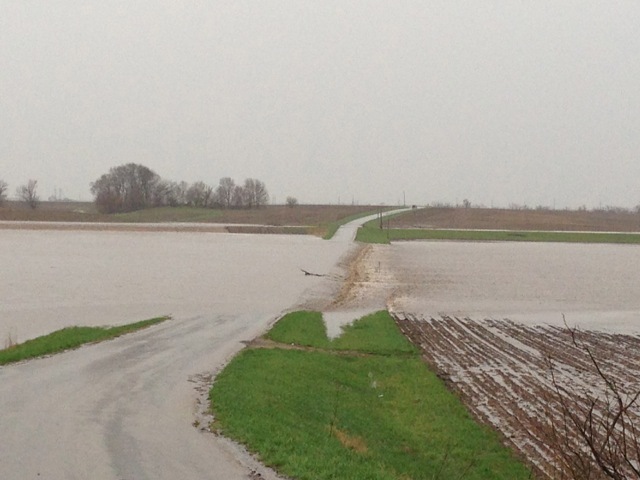 Here’s one of the places where the Spoon River hadn’t flooded out the road, but it was still rip-roaring through. Thankfully the rain has ended for now (chance of snow in the morning – woohoo! ).